Sir Thomas Stamford Raffles, FRS was a British statesman, Lieutenant-Governor of British Java and Governor-General of Bencoolen, best known for his founding of Singapore in 1819. 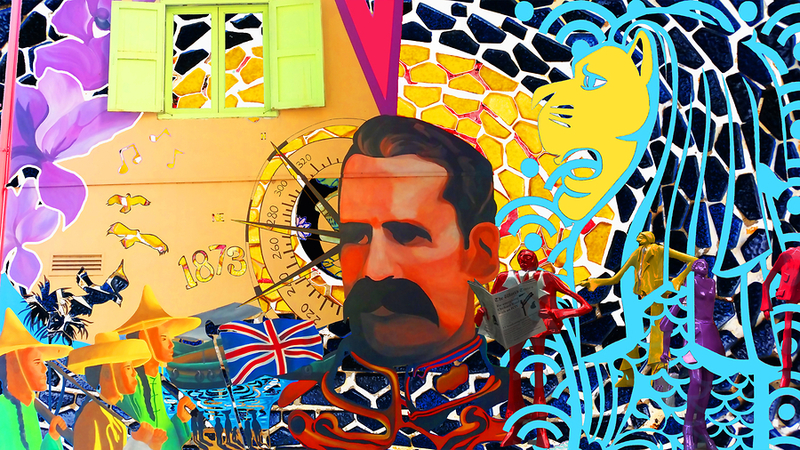 His mural is painted opposite Fort Canning Park. The Merlion is the much loved 'Water Lion', a mythical creature with a lion's head and the body of a fish. It is widely used as a mascot and national personification of Singapore.